A WW1 War Memorial in the middle of Stratford's bustling Shakespeare festival district boasts 2 cannon from another age. 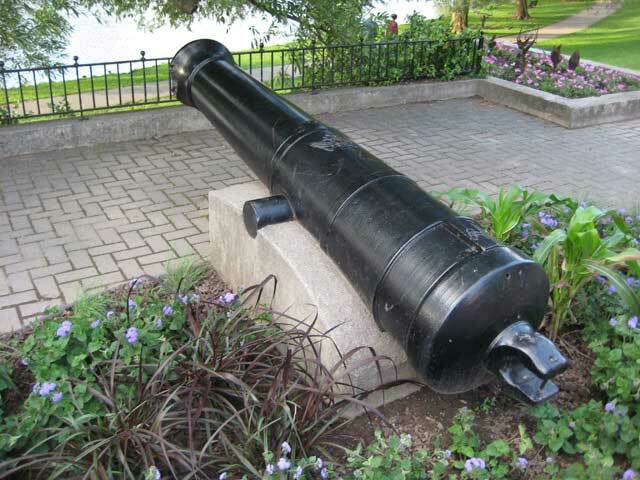 One is a British Blomefield pattern cannon from the early 1800's, a 24 pounder iron gun, made by the Carron Company, a Scottish iron works that is also responsible for the invention of Carronades, a shorter close in weapon. 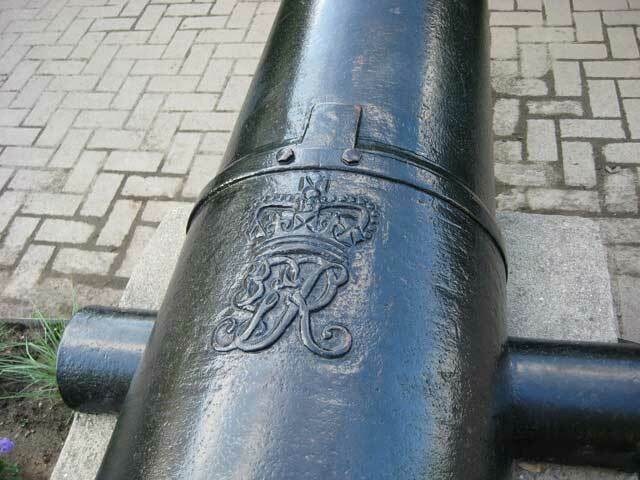 The Stratford cannon was used on British ships of the line, a longer range beast that fired iron balls, and with which British sailors were more comfortable, as they didn't have to get too close to do their gruesome work. 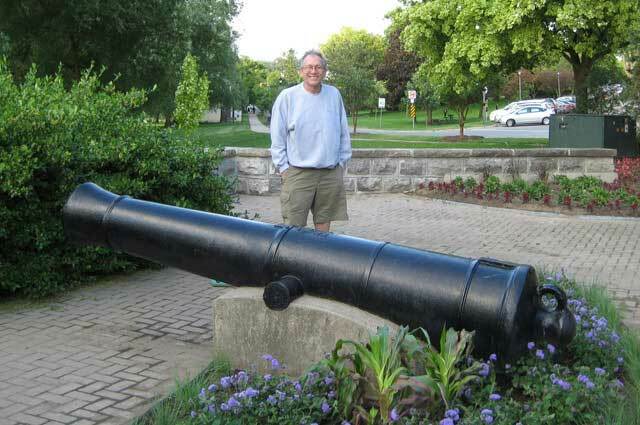 Another similar Blomefield gun occupies Stratford's Queen's Park. 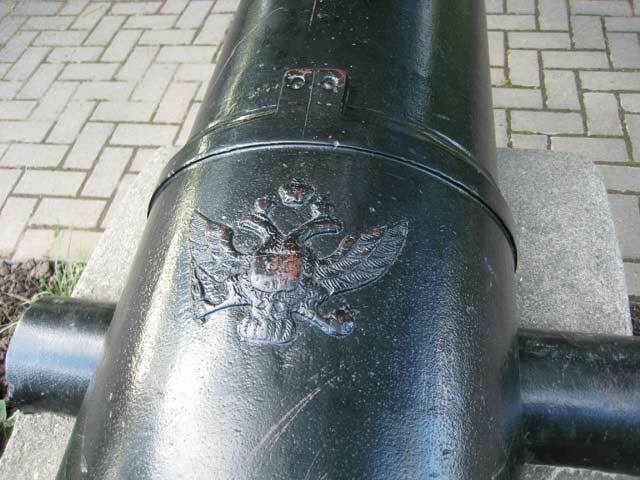 The other gun, similar in size and also a 24 pounder, seems to be a later gun, has a broken muzzle, with an double headed eagle emblazoned where the Royal Cypher should be, possibly a gun from the Imperial Russian Navy. A mystery still to be solved.